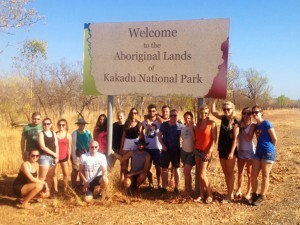 You are here: Home / Our Blog / Featured / Australia / Kakadu, Crocs & Australia’s Northern Territory! From the vast areas of bushland, swimming holes, amazing waterfalls and Aboriginal history in the National parks to the beaches and tropical city of Darwin, NT’s capital city, it’s safe to say that travelling to Australia’s Northern Territory will give you an insight into the ‘real’ Australia! 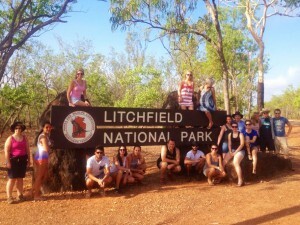 ULTIMATE travel legend, Max flew up to Darwin last week with Topdeck to discover the Northern Territory. We caught up with him to see what he thought of the trip! I flew into Darwin then started a 5 day tour around Katherine, Litchfield and Kakadu National park. I got to see some incredible sights and it was overall an awesome trip! Our first stop was Katherine Gorge and later that day, Edith falls. 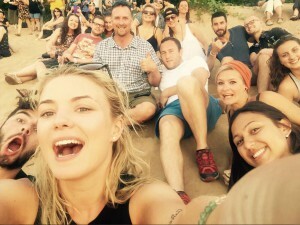 We canoed through Katherine gorge which was amazing! There are high cliffs either side of you and the scenery is beautiful. 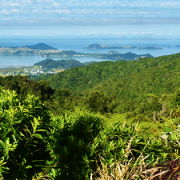 The weather was amazing too – about 36 degrees most days! 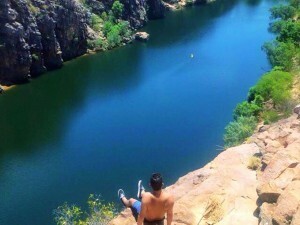 We also did a bit of cliff jumping into the gorge – crazy fun! It was a great start to my trip at Australia’s Northern Territory and a great way to get to know everyone on the tour too! What do you recommend about Darwin? 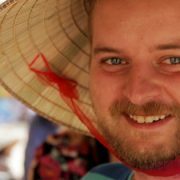 Would you recommend it to other backpackers? Before I got to Darwin I didn’t think it would be as good as it was! I’d heard it was quite small so I just assumed there wasn’t much to do and that it would just be ‘the gateway’ to the National Parks in the NT. It was small but what was there was really cool and I loved it! Darwin is a proper little backpacker town! There’s a long strip with a load of bars and backpacker hostels where we spent most of our time. I liked that everything was in one location so it was so easy to get to everything and get out to the bars in the evening! I stayed at Melaleuca backpackers which was right in the centre of Mitchell Street (the strip.) It’s such a cool hostel with a rooftop pool and bar – the perfect place to chill in the heat! 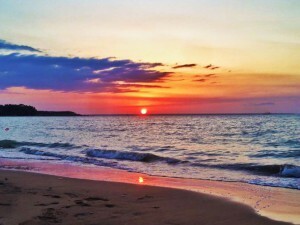 Luckily, I was in Darwin on a Thursday evening so I got to check out Mindil beach sunset markets. There are hundreds of stalls selling clothes, jewellery and other bits set up right on the beach but the best part for me was all the food! Paella, Chinese, Thai, Pizza, Seafood..you name it, the markets have got it! We sat on the beach eating our food and watching the most incredible sunset I’ve ever seen! If you haven’t been to Darwin, just go! You mentioned seeing crocodiles in the wild…What was that like? I was lucky enough to take part of a tour at Crocosaurus cove in Darwin where we got to feed crocs and hold pythons, both of which were pretty scary but a cool experience! Seeing the crocs in the wild was something different all together though! We did a crocodile cruise where I saw a croc feeding on a barramundi. It was insane to watch! 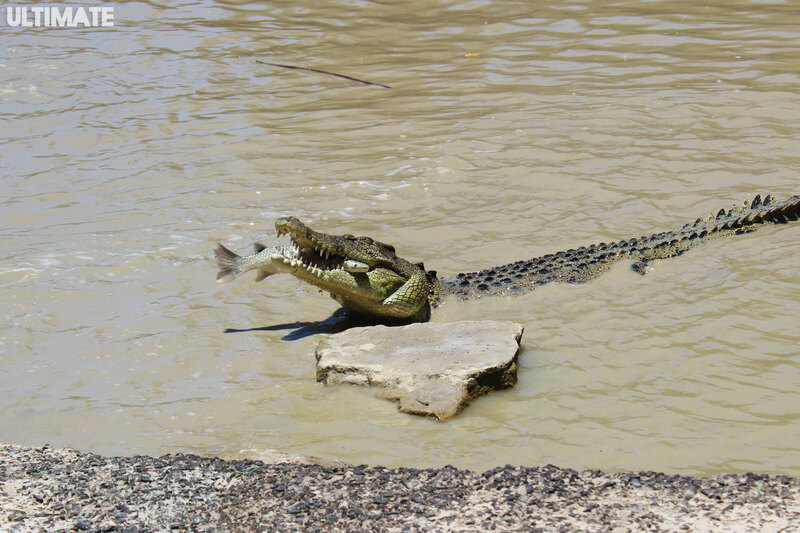 The crocs jumped up so quickly, the barramundi had no chance! It was pretty scary seeing them in their own environment. It’s coming to the end of the dry season so all the crocs live in the East Alligator river (named by a confused Englishman who thought they were alligators!) in Kakadu waiting for the wet season to arrive where they will migrate to other watering holes. Definitely an experience I won’t forget! 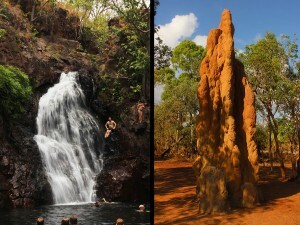 Do you think it’s a good time of year to travel to the Northern Territory? 100%. 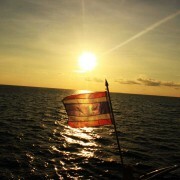 The weather was warm and humid but it never felt uncomfortable and with all the swimming we were doing, it was perfect! Also, because it’s coming to the end of the dry season, we got to see the crocodiles! During the wet season some water holes are closed off so the tour itineraries change but with so much to see in the area, I’d say it’s actually good to go any time of the year! 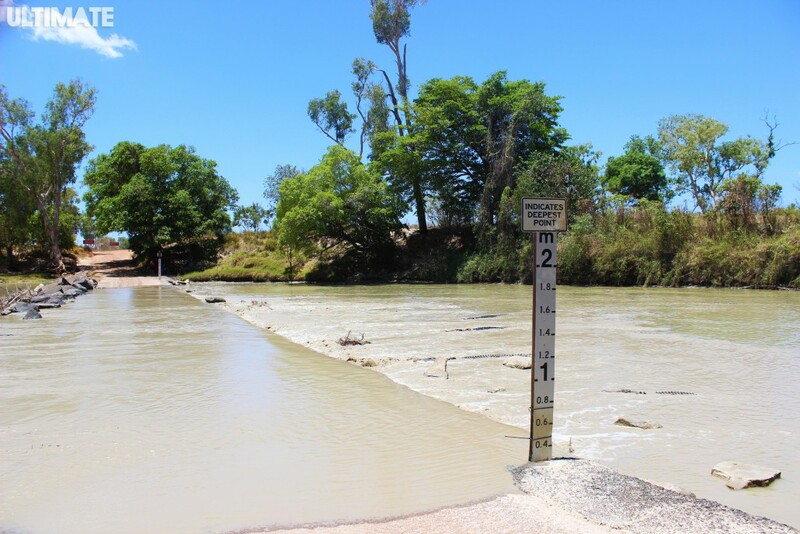 Experiencing the Northern territory mid wet season would actually be quite an experience I think! What kind of tour would you recommend to backpackers planning a trip? I’d definitely recommend Topdeck to other backpackers. 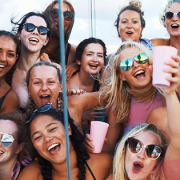 If you want to travel with like-minded people of the same age with an awesome tour guide thats really experienced at what he does, it’s the perfect tour. Also, the perks of staying in amazing accommodation whilst still getting to see all of the unique sights was a big plus for me. I think the tour guide really made the experience too. He encouraged us to go to different and more secluded places so we really got the feel for the area, off the beaten track! Some of the places were harder to get to but were well worth it. I really noticed our guide went the extra mile to make it a unique and special experience for everyone there. https://www.ultimate.travel/wp-content/uploads/2015/10/Blog-cover.jpg 315 851 Holly Walker https://www.ultimate.travel/wp-content/uploads/2015/01/logo-300x94.png Holly Walker2015-10-29 10:35:212018-05-01 18:25:36Kakadu, Crocs & Australia's Northern Territory!